HAIL DAMAGE! Don’t be misled into believe that a commercial roof is rarely damaged by hail! Powerful hail storms that often hit our area can cause major damage to commercial roofing! 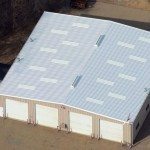 Metal roofing is prone to large indentations that will shorten the life expectancy of a metal commercial roof! Hail stones can also cut or penetrate a flat roofing system of TPO and EPDM leading to major interior damage in the future. We are here to help! No one know commercial roofing better than MidSouth Construction! HAIL CAN DAMAGE FLAT ROOFING! Hail storms are typically accompanied with strong winds. These storms can scatter debris and cause small tears in flat commercial roofing. Many times these tears are so small that they are not visible to the untrained eye. So many commercial property owners believe that hail storm damage is cosmetic! That fact is, hail stones can cause significant damage to your roof that may not be visible for long periods of time. It is not uncommon for hail damage to not cause problems or leaks until several years have passed. Sadly, the statute of limitations for filing a claim for your roof will generally be expired by this time. EXPERTS AT INSPECTING COMMERCIAL HAIL DAMAGE! Call us to request a no obligation comprehensive commercial roof inspection. One of our knowledgeable commercial roofing project managers will conduct a through and accurate assessment of your entire property. We understand the insurance industry and know exactly what to look for! There is often “hidden” damage that is often not visible to the untrained eye and you can trust our experts to document and find all damage to your commercial roofing. Documentation is king when it comes to hail damage! All damage will be accurately documented with photographs and measurements. Let us be your voice with your insurance carrier! We will represent you and protect your best interests! Our staff can even provide documentation from a meteorologist for your specific storm date. Commercial Roof Replacement Built to Current Code Endorsements! Guaranteed Professional Installation Backed by MidSouth and the Manufacturer! 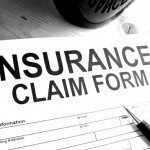 Nashville’s top rated commercial roofing contractor also speaks the language of insurance! Our qualified staff even includes public adjusters to ensure your hail damage insurance claim is properly handled! When it comes to hail damage to a commercial roof, you need the best commercial roofer in Nashville!